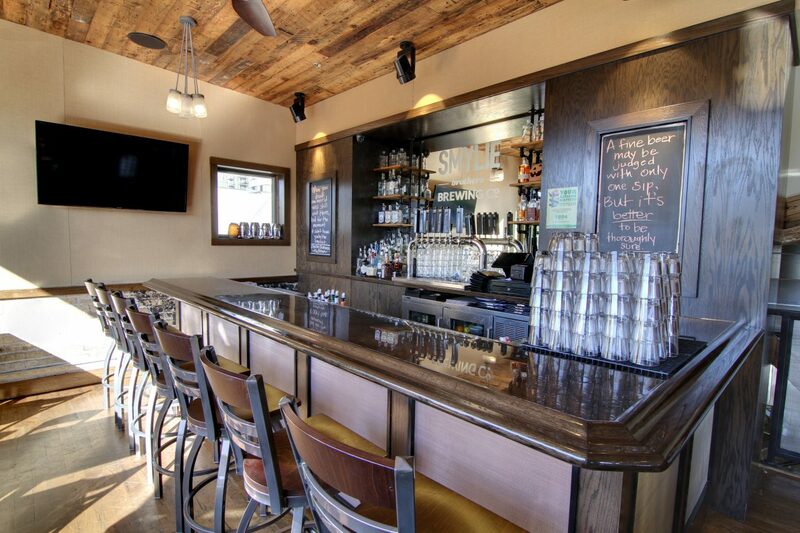 Smylie Brothers Brewing Co. is the perfect place to hold you next private event! All food for private events is served buffet style. We do not offer entree orders or family style service for private events. Please note that no food may be taken home. Click here to view the private event menu. 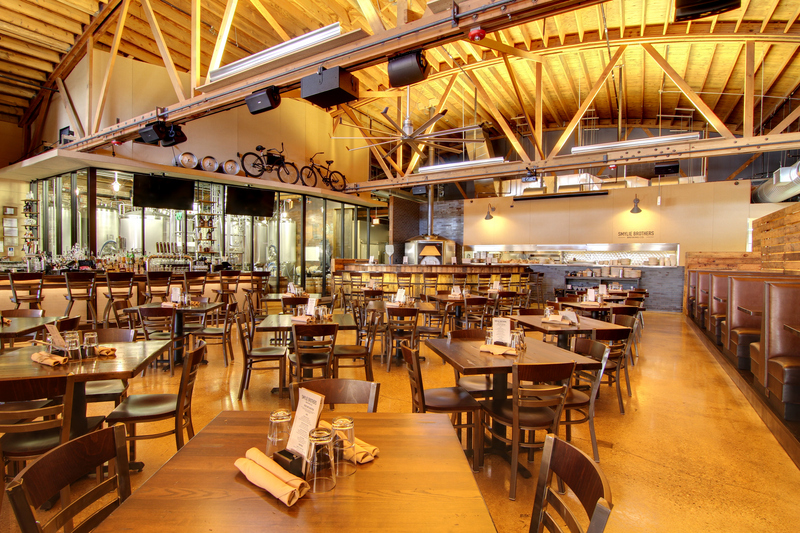 Located on the second floor, The Mezzanine is great for small or large parties. 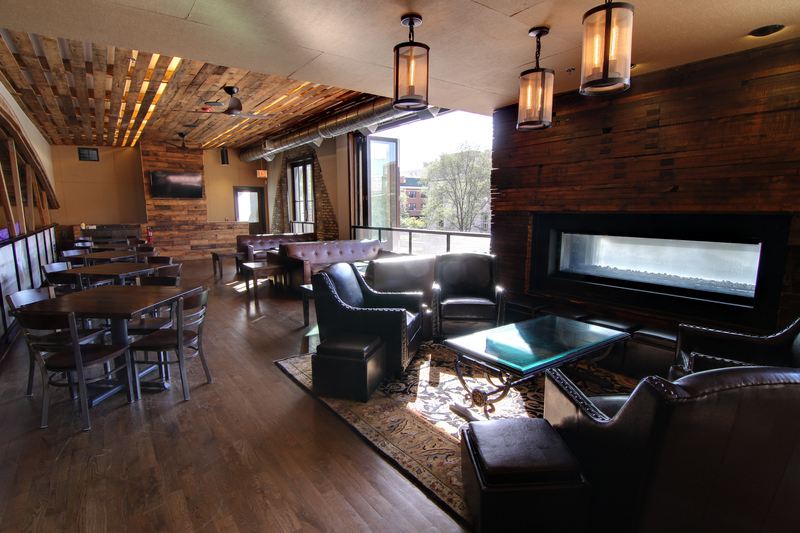 This private event space includes a full bar, lounge with fireplace, couches, and table seating for up to 32 guests (20 at low top tables by the railing and seating for 12 at high tops by the bar) and can accommodate up to 85 guests for a casual reception. 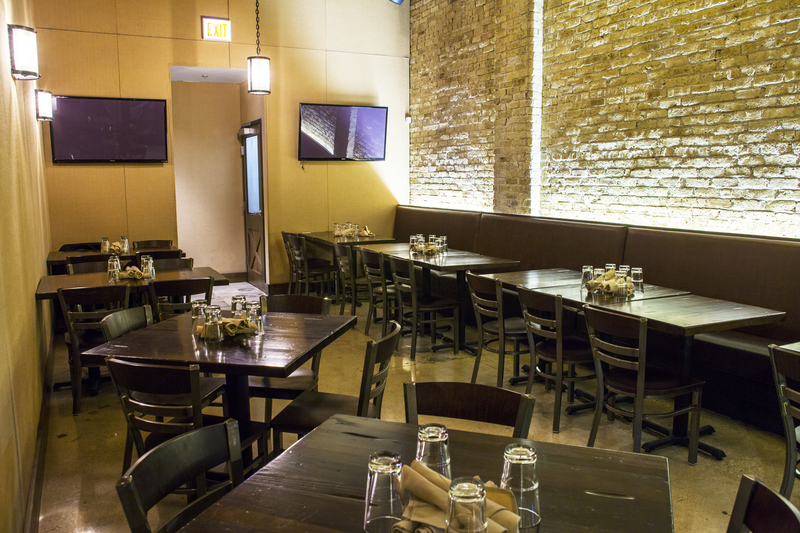 **Please note, even though the pictures show open windows we are unable to open the windows due to City of Evanston health code** The Mezzanine is not handicap accessible & our restrooms are located on the first floor. The Private Dining Room is ideal for small parties with seating up to 30 guests or can accommodate up to 40 guests for a casual reception. This intimate space has tall windows facing Oak Avenue and is located on the first floor of Smylie Brothers off of the main dining room. 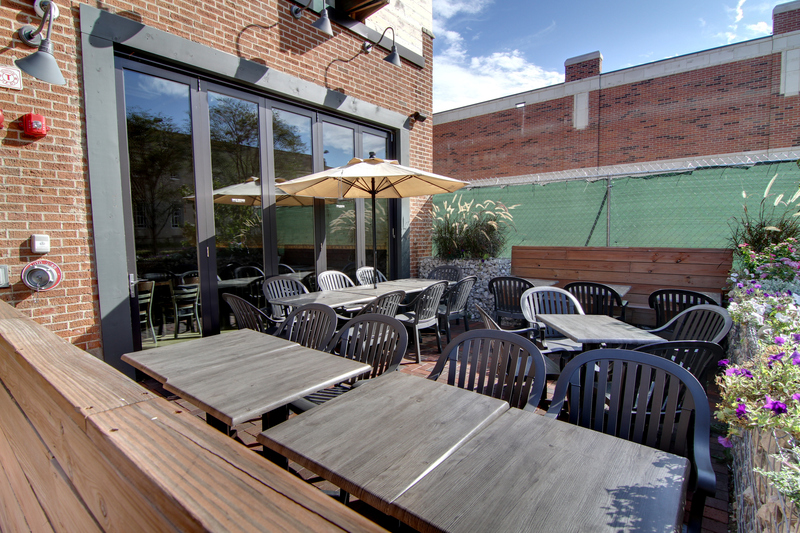 *The Private Patio IS NOT included with the rental of The Private Dining Room. 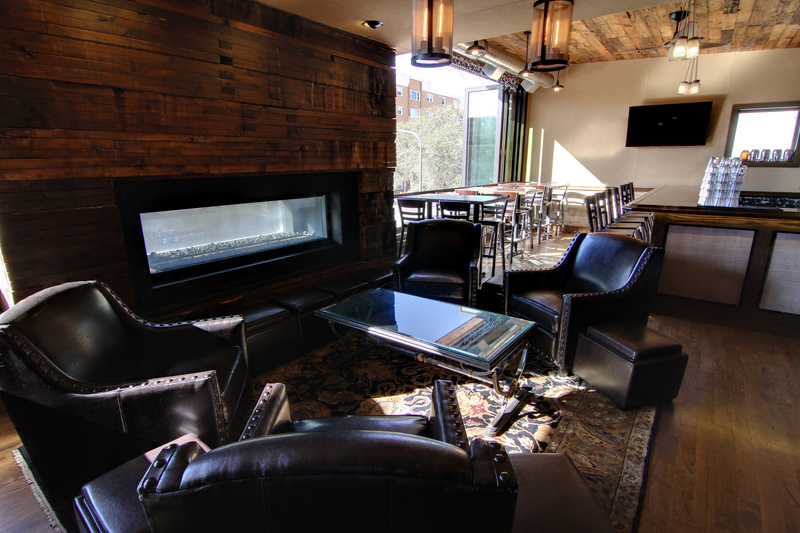 An additional food and beverage minimum is associated to rent The Private Patio in addition To The Private Dining Room. Rental of PDR and PDR patio is limited to 40 guests due to the possibility of inclement weather. 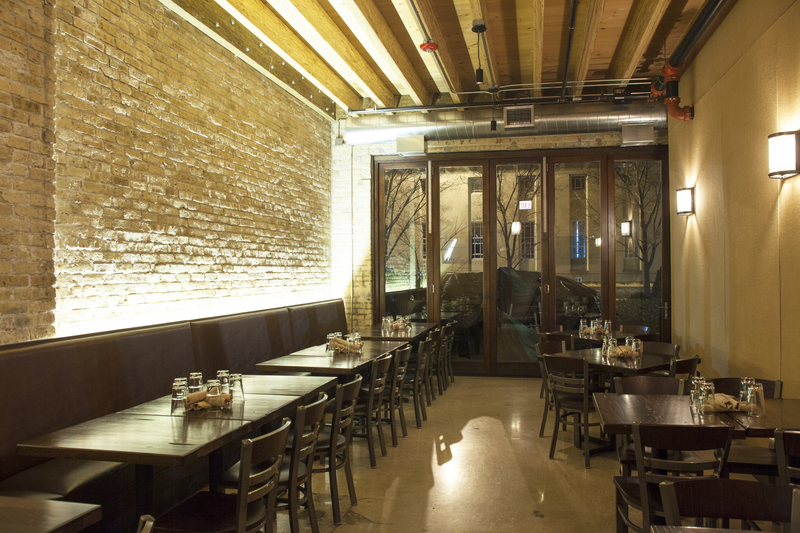 * Please keep in mind the sliding windows in the PDR cannot be opened due to City of Evanston Health Code. 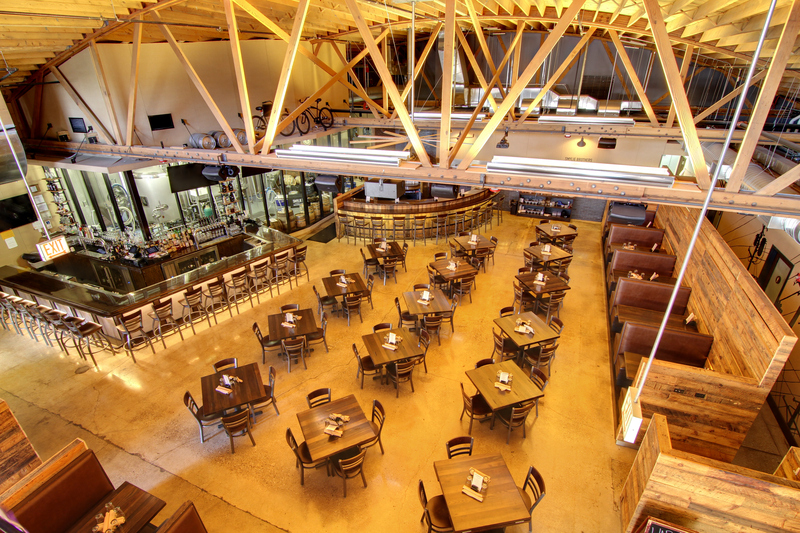 *Private event spaces and brewpub buyouts will be associated with a required food and beverage minimum. 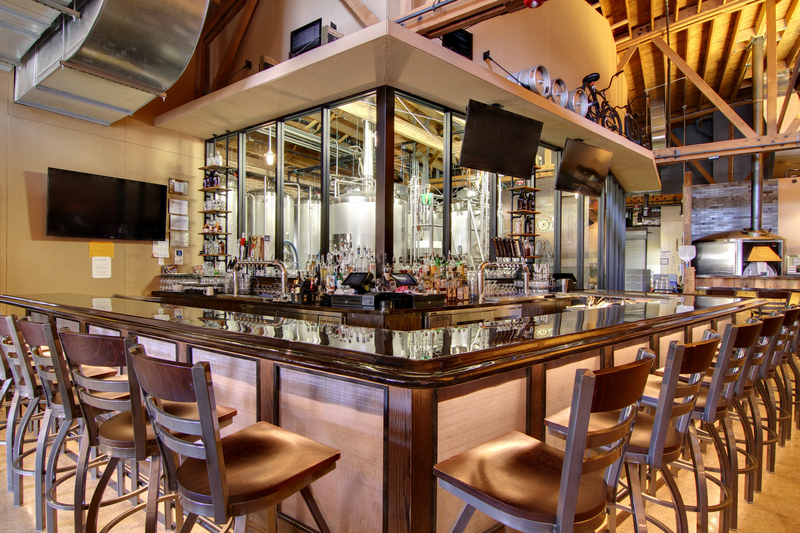 You must be 21 years or older to enjoy alcoholic beverages at Smylie Brothers Brewing Co. We card anyone who appears to be under the age of 40. Smylie Brothers Brewing Co. accepts the following forms of ID: U.S. issued operator’s license, U.S. issued state ID, U.S. Military ID, Passport. NO foreign IDs or resident cards will be accepted as proper identification.